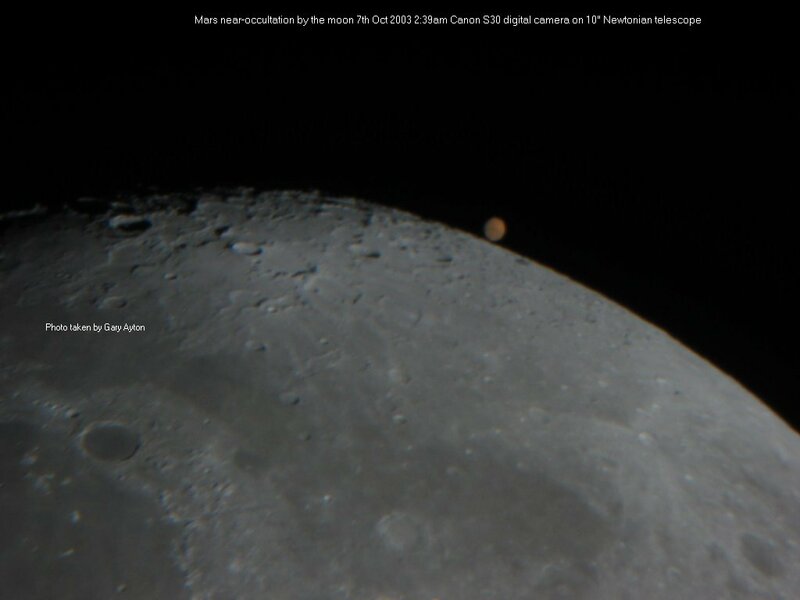 well...not really...just the moon almost passing in front of Mars in a similar way to a solar eclipse, but this event seen as a grazing occultation in Melbourne with Mars so big is extremely rare! 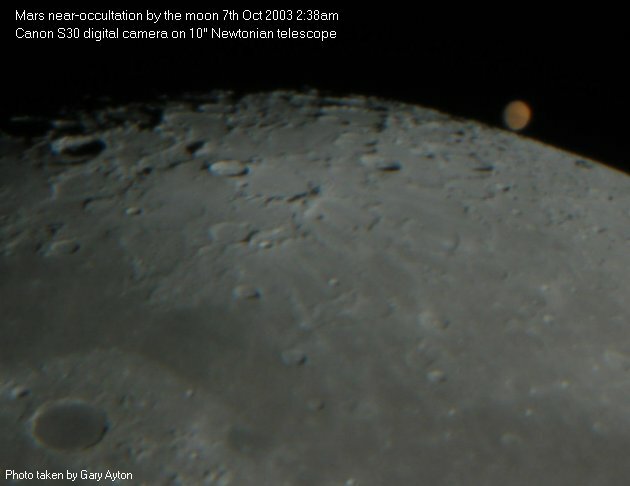 The region from which an occultation was seen is limited by a grazing occultation of Mars at the north limb of the Moon. This occurred along a band some 50 km wide from Melbourne, through Canberra to Wollongong just south of Sydney. 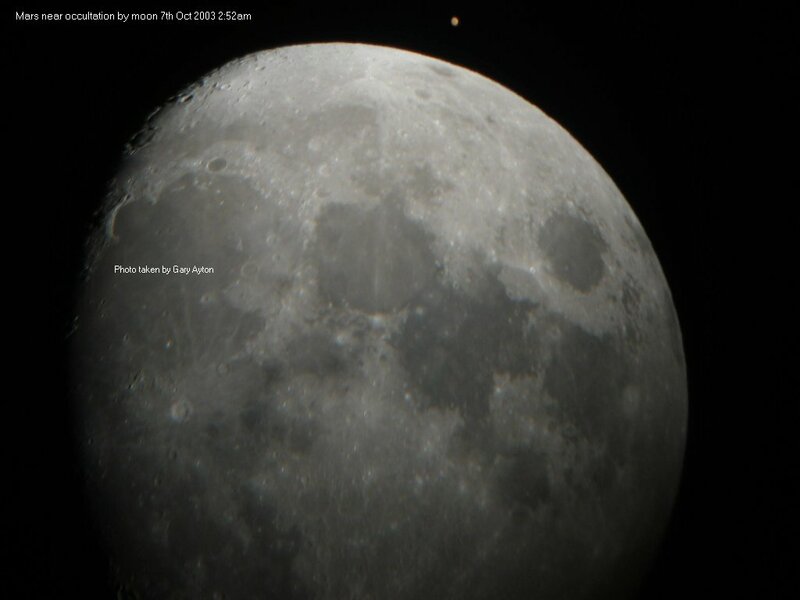 Areas to the south saw a full occultation. 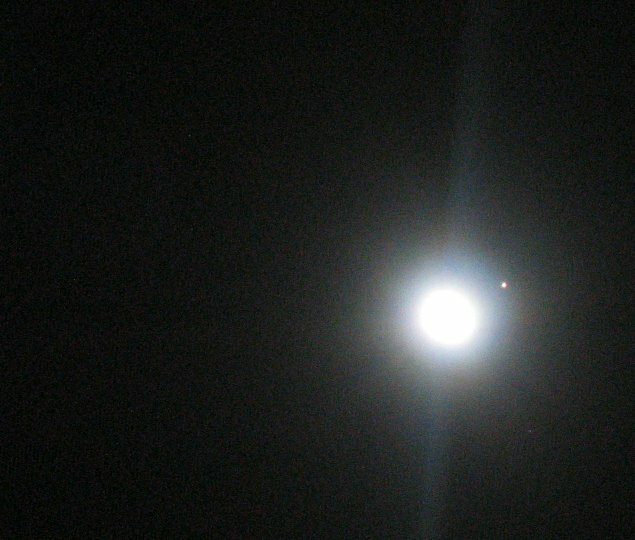 0:15am camera zoom without telescope - getting closer!